If you’re booking me for the whole day (Venice package), you will receive a nice little extra. 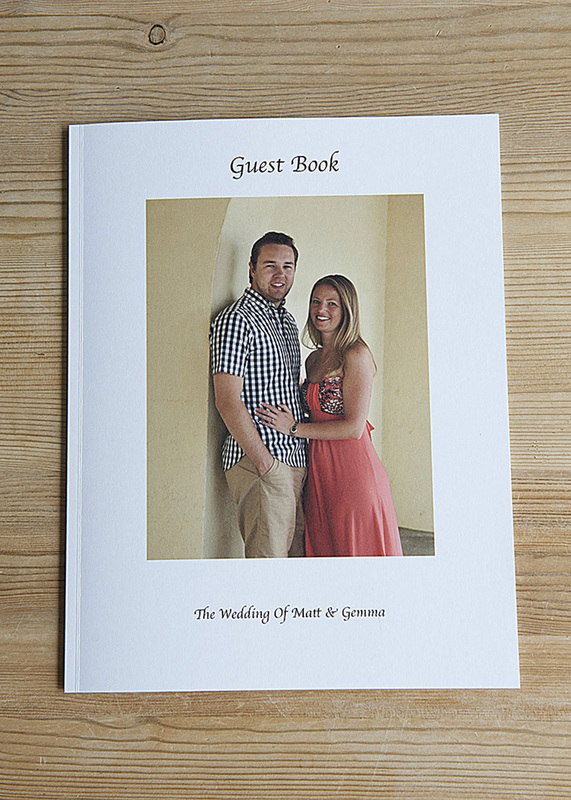 It’s a brand new soft cover book which you can use as a guest book on your wedding day rather like a signature book. In other words, your guests can leave well wishing messages inside to provide you with a brilliant keepsake after your wedding is over. 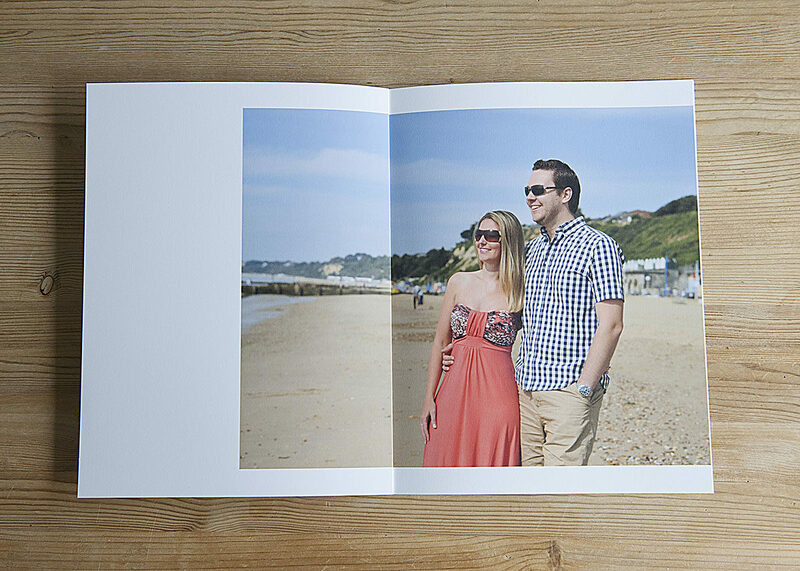 It’s a really lovely book with textured white paper pages and will include photos of you and your partner taken at the engagement shoot. 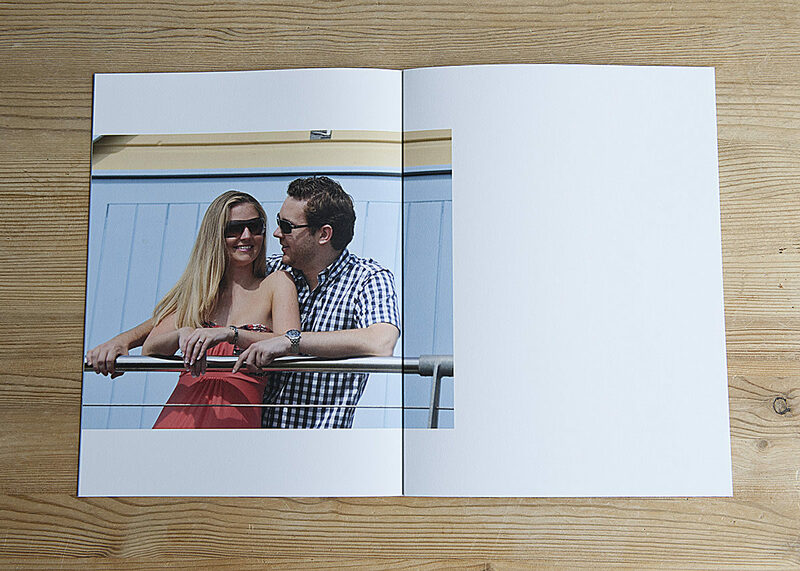 The book has heavier art paper pages which have the look of a high end magazine. As you can see there is space next to each image for people to leave messages. The book measures 10.5″ x 8.5″ so is a perfect size and comes in a protective white mottled envelope with a wrap tie closure. I’m sure you’ll love it!